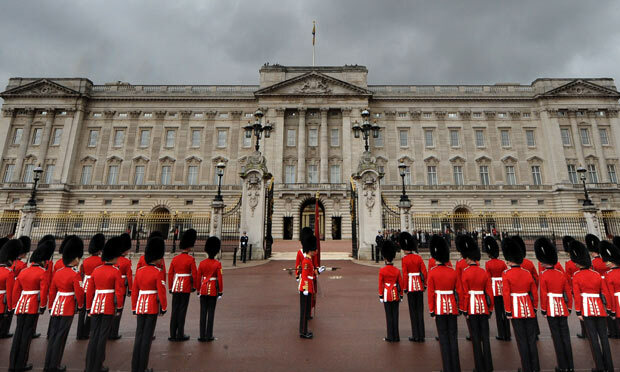 For all its modernity and development, the United Kingdom remains a monarchy. It might seem like something of an oddity that this increasingly liberal, areligious nation remains committed to this tradition of over 9 centuries. With the steady advance of free speech, public criticism and satire, all have been subjected to ridicule and scrutiny, and yet somehow this fundamental Renaissance-onwards movement has left our monarchy perfectly intact, albeit reduced to a ‘ceremonial’ role. Some Britons consider themselves ‘Republicans’, committed to the idea that the head of state ought to be elected, or at least appointed by some body of politicians or otherwise. For some reason that I find slightly less than rational, I find myself disagreeing quite firmly with them. This is largely sentimental; Queen Elizabeth II is just such a lovely old lady, isn’t she? In fact, some suggest continued support for the monarchy in Britain is largely due to her stature as monarch. That leaves a lot of questions to be asked for succession, given that Prince Charles has more outspoken politics – even if he is quite an affable fellow. It is also born out of an attachment to tradition; the monarchy, broadly speaking the same family, has accompanied Britain through all manner of earth-shattering events, from the two World Wars to the rise and fall of the British Empire, pushing through Oliver Cromwell’s civil war and the revolution of 1848. I don’t believe the royal family is inherrently superior to anyone, not in the eyes of God; all are created equal. Yet surely there is much value in cherishing such a rich and longstanding tradition? The royal family is quintessentially British; that has immense value in an era characterized by our increasing confusion over what Britishness even is. The same identity crisis can be seen in many nations today, buffeted by the homogenizing forces of globalization and neoliberalism. They are also a cherished symbol over the world- even in ex-colonies where British rule is viewed in hindsight overwhelmingly negatively (and rightly so)- William and Kate’s wedding was viewed with great interest. It is a symbol of British culture – it keeps us relevant. I have a sentimental attachment to that, but also a realpolitik, Machiavellian one. There is value in tradition and symbols, but a large part of the public’s support is surely also due to the perception that the monarchy doesn’t really exert any power these days, and so its downsides are limited. Personally, I’m not convinced this is the case. The Prime Minister has been obliged to meet the Queen weekly for decades, and in high government circles it is well known that she is particularly astute and well versed in British affairs – as one would expect. Some may view these meetings as a formality, but I would not be surprised if there was some substance to these discussions that goes beyond exchanging pleasantries. It would certainly make sense that a family so immersed in British public affairs and tradition, literally from cradle to grave spanning generations, would aggregate a commanding knowledge of what Britain is, ought to be, and what her interests are. That this constant factor can act as an informative and stabilizing force in the background as political leaders come and go strikes me as a reasonable arrangement, although I suspect this is partly due to my affection for Queen Elizabeth II as an individual, and my perception that this arrangement has quite obviously not produced any glaring downsides in recent years. I imagine most of the British public would tacitly agree. To be clear, I advocate no faux conspiracy. It is obvious the royalty’s functions are mostly ceremonial, and the royal family has long learned to respect the firm mandate of elected politicians; our current Queen quite clearly guards her neutrality and reserved-ness with the utmost vigilance (quite British, I’d say). But the political workings of any elite are often calculated, quiet and nuanced – shying away from the spotlight. I’d bet the royals have many interesting conversations with people of significance in Britain, not least the Prime Minister, on a regular basis. They must exert subtle influence behind the scenes, in a non-invasive, non-partisan way. And that is not such a terrible thing. So, for all my skepticism of the ‘establishment’, I have somehow ended up a sentimental royalist. Hats off to you, dear Elizabeth.